Chateau de Ripaille is nestled between the French spa towns of Thonon les Bains and Evian Les Bains on the picturesque shoreline of Lac Leman (Lake Geneva). The Chateau de Ripaille has had a colorful history and was built in the late 13th Century as a hunting lodge for the Counts of Savoy. It was a monastery until the French Revolution and restored in the 1890’s by Frederic Engel-Gros an Alsatian industrialist. 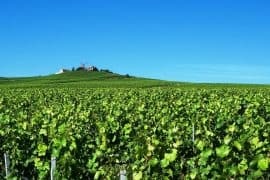 The Chateau has enjoyed a long history of winemaking, and as you walk through the vineyards, you will also be walking through part of the Chablais UNESCO Global Geopark, a walk that recounts a geological history of 250 million years. Chateau de Ripaille is surrounded by a deep moat filled with thick vegetation. Walking through the gatehouse, you get your first full glimpse of this regal Chateau and its peaceful gardens. The kitchen, dining, and bathrooms were decorated in the Art Nouveau style of the 1890’s, while other parts are left bare revealing the architecture of long ago. Giant wooden barrels sit in ancient taprooms, a testament to the Chateau’s winemaking traditions. Chateau de Ripaille have a selection of award-winning wines which are sold throughout France or can be purchased when visiting the Chateau. 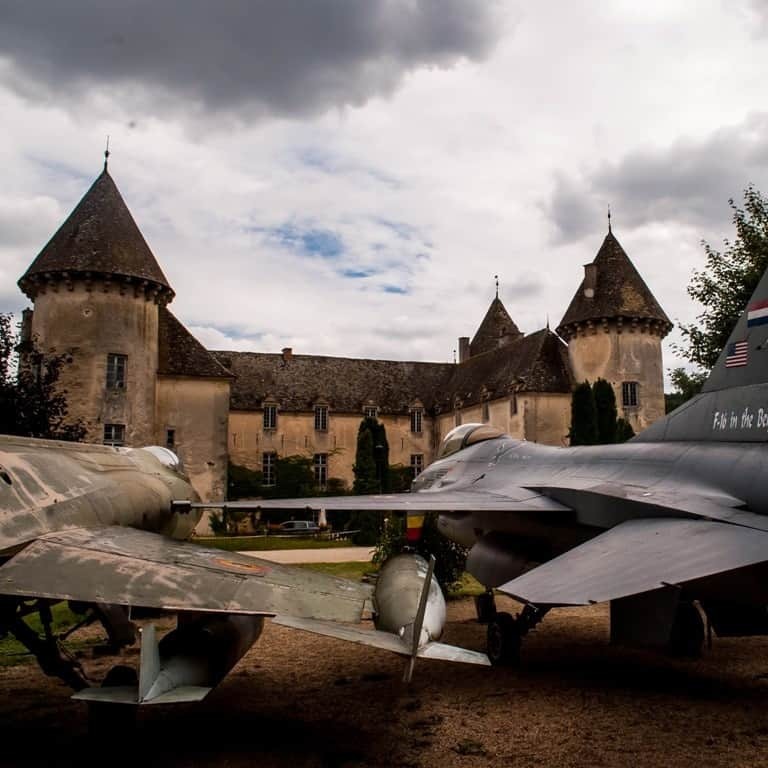 This 17th-century château near Beaune, in the Bourgogne, is unlike any other you will visit. Winemaker, collector and former race car driver Michael Pont bought the estate in the 1970s and has been filling it ever since. There are the vineyards, of course, but there is also a field full of 80 vintage fighter planes, all parked in neat lines. There is a marquee housing about 40 firetrucks from horse-drawn versions to curvy 60s beasts to modern day trucks. Further out you can examine a similar collection of tractors. Inside the buildings, you will find a spectacular collection of vintage Italian race cars, surrounded by a fleet of historic bicycles. The main building gives you a sense of what it would have been like in the 18th century with period furnishings on the ground floor, but follow the marble staircase upwards to find 300 motorcycles of all makes and eras. The floor above that is dominated by military collections, including full parachutes, plane seats, guns, oars from boats, and a truly staggering number of models. These collections are obviously a labor of love, and it makes for a fascinating visit. France has no shortage of beautiful towns and Annecy a small alpine town in southern France is no exception. The medieval Old Town of Annecy with flower-bedecked canals and pastel-colored buildings lining the canal is undoubtedly a time warp. 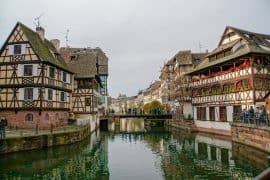 Wander the narrow alleys of the Old Town and explore the small cafes, restaurants, souvenir shops and churches tucked away into the alleys or devour on some local cheese specialties like Fondue and Raclette there is plenty to do in the city. The major landmark of the Old Town of Annecy is the 13th-century Château d’Annecy or the Annecy Castle which sits on the hill overlooking the city of Annecy. 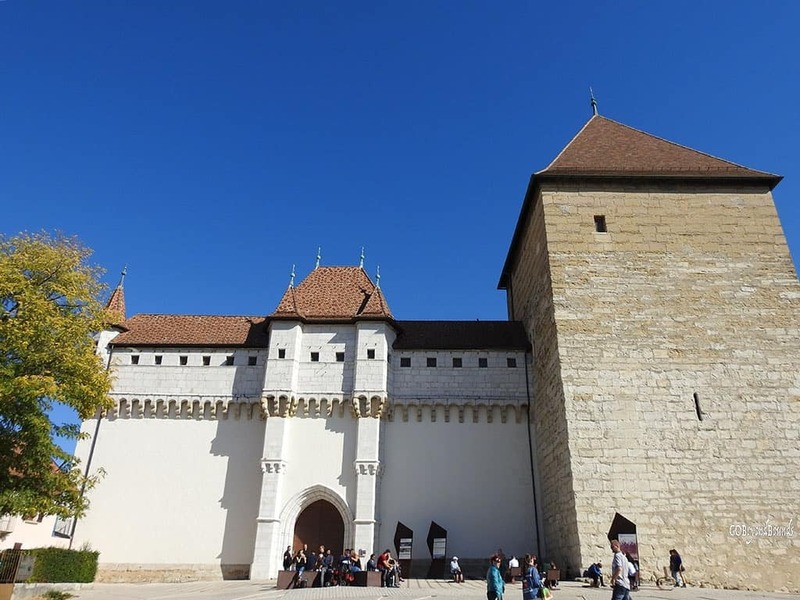 The castle which once served as the residence of the Counts of Geneva and the Dukes of Genevois-Nemours today houses a museum open to the public. The castle houses a permanent exhibition of sculptures and paintings and hosts several temporary exhibitions. The terrace of the castle offers incredible views of the Old Town roof-tops and the blue Annecy Lake with the backdrop of mountains. 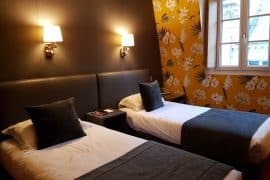 To reach Annecy from Paris, there are several trains from Gare De Lyon which will take you close to 4 hours but Annecy just an hour by bus from the Swiss City Geneva which makes it a popular day trip. The Château de Beynac is an imposing 12th-century fortress located in the adorable village of Beynac-et-Cazenac, Dordogne in southwestern France. 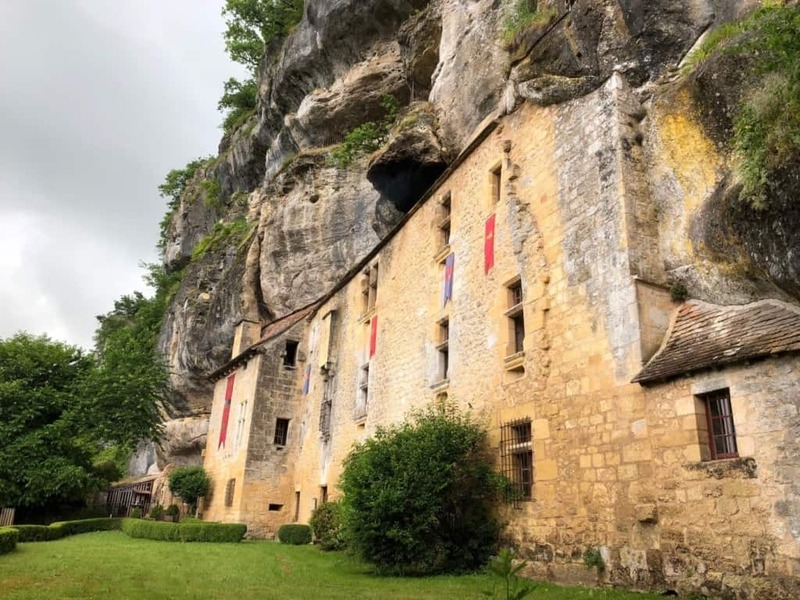 Because it’s built on a sheer cliff face to deter any invaders, it surveys the whole Dordogne Valley. Climb the narrow spiral staircase to the watchtower for your own bird’s eye view! Because the Dordogne used to be the border between France and England, it was a historical epicenter of the struggle for influence and power in the region. 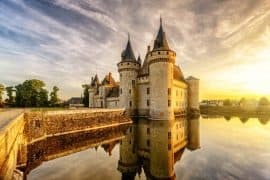 In fact, during the Hundred Years War, the château was held by the French while Château de Castenaud, just across the river (and also worth a visit) was held by the English. Access the castle by driving up the steep hill and then walking through the castle gates and into the wide roman keep. You’ll find original woodwork, a painted ceiling from the 17th century, and a small oratory covered in 17th-century frescos. 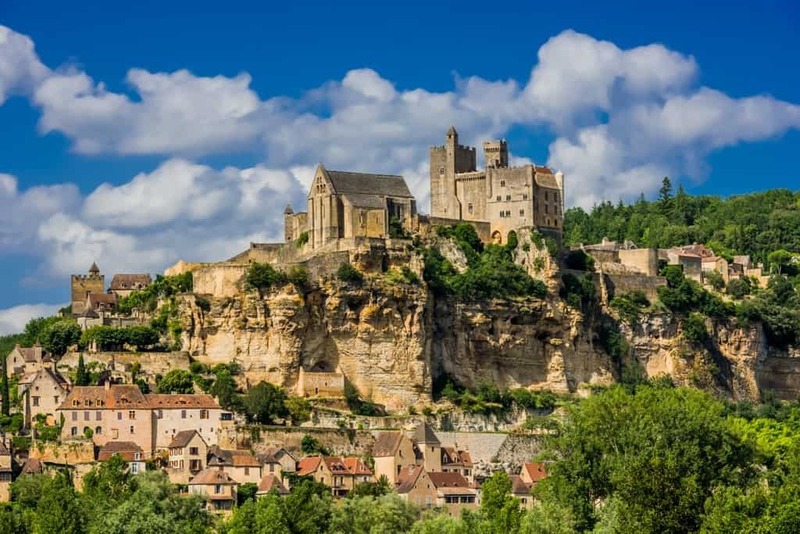 The beautiful Dordogne is alive with castles, cave art, and market days in medieval towns. 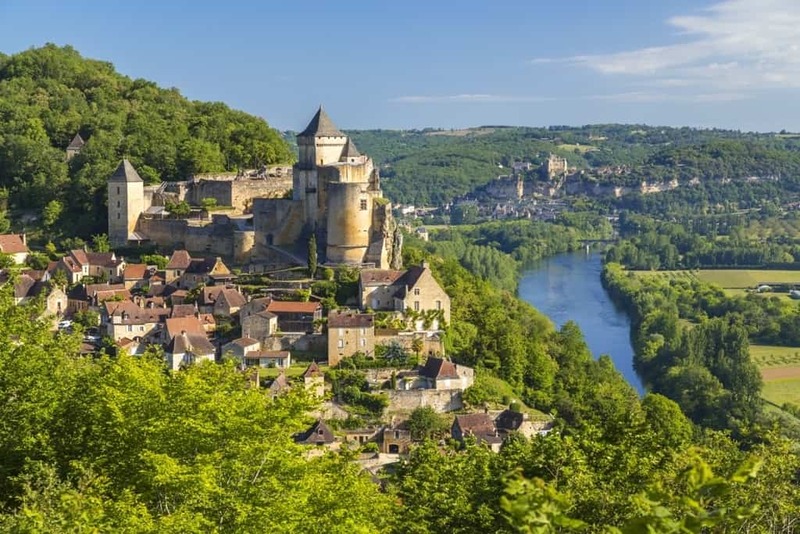 Read more on what to see and do during your visit to Château de Beynac. Château de Fontainebleau, located just 55km southeast of Paris, is one of the largest and most magnificent royal chateaus in the country. The chateau boasts over 1,500 rooms and is set in 130 acres of stunning gardens with fountains, lakes and canals in its grounds. 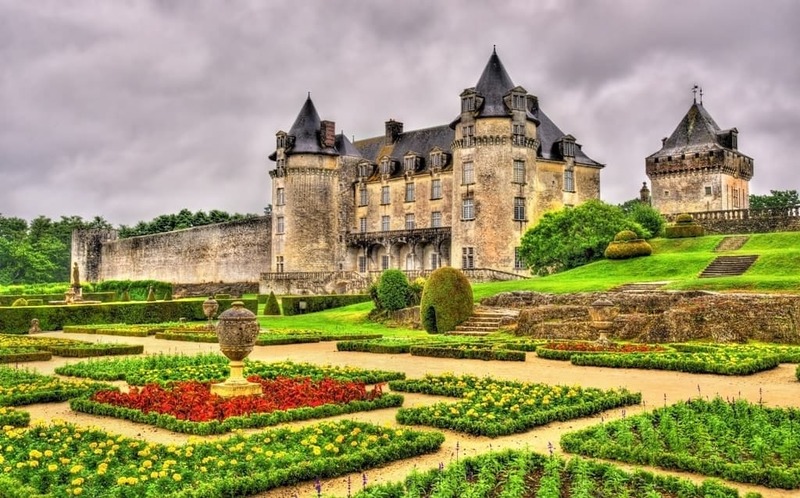 The Château is one of France’s designated UNESCO World Heritage sites and housed French monarchs for eight centuries. Napoleon famously described Fontainebleau as ‘the work of centuries, the home of kings’ and some momentous historical events have taken place within its walls – it was at the foot of the horseshoe staircase where Napoleon I farewell ceremony to his troops took place. The décor in the chateau is stunning, and there is an impressive collection of art. Château de Fontainebleau is an incredible place to visit both inside and out. The ornate and lavishly furnished rooms are wonderful, and the gardens are exquisite. One of the many delights of exploring the Loire Valley is to travel by water. The slow way of traveling through the canals in the Loire Valley enable you to stop to fish, take the bikes for a spin and enjoy the local sources of fresh produce. From the vantage point of the waterway, you are able to experience the stately chateaux, colourful gardens, and flourishing medieval villages. Rising from its own moat the medieval fortress known as the Chateau de Sully-sur-Loire is one impressive Chateau. 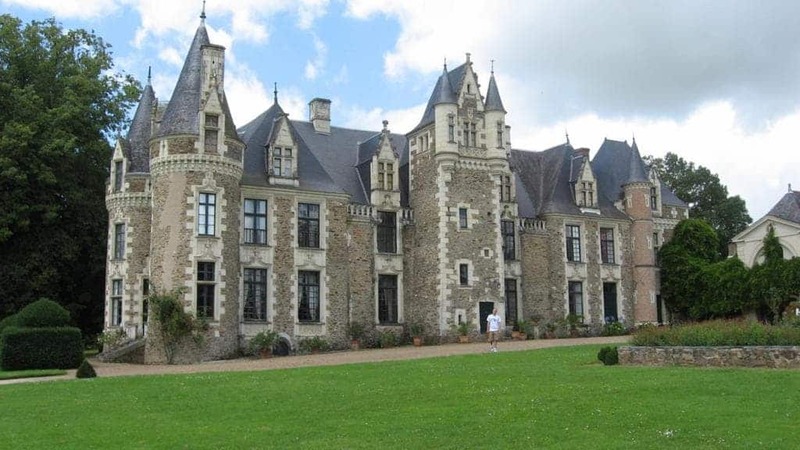 The 14th Century Chateau is the former residence of the Dukes of Sully and is located on the left bank of the Loire in the city of Orleans. The Chateau is complete with its towers, a keep, a rampart walk and the moat. Inside the Chateau there are paintings, tapestries, fireplaces and furniture that date back to the Renaissance period. If you venture to the attic room, you can see the 14th-century timber-framed roof with its beautiful workmanship and be amazed at its state of preservation. Visitors to the Chateau can enjoy a nature walk along the banks of the Loire. There are guided tours available. The current entrance fee is 8 euros, and it is closed on Mondays, but we would recommend that you check before you visit as the opening hours may change depending on your time of visit. In many ways, downtown Avignon is the Paris you’ve always wanted – quiet, quaint, and full to brimming with history. 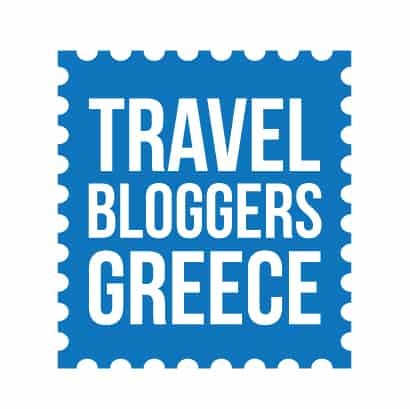 A travel mishap stranded us there recently and provided us with the wonderful opportunity to explore this gorgeous part of town, including its renowned Papal Palace. 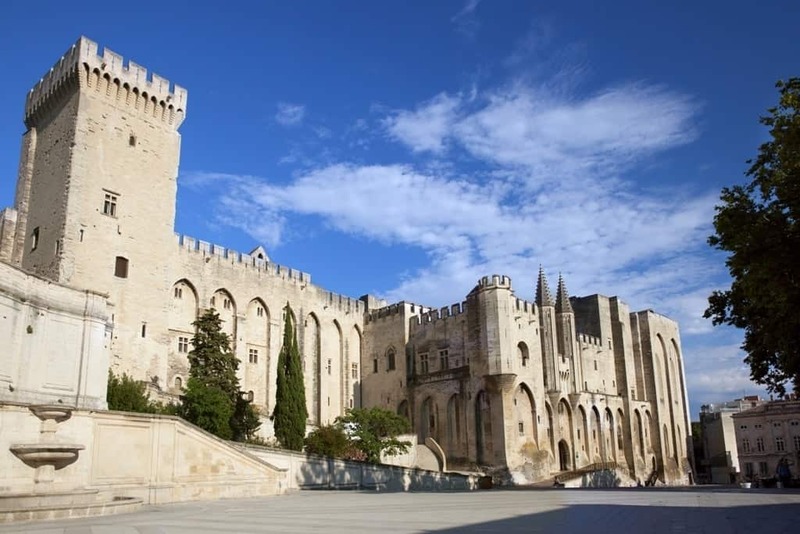 Designated as a UNESCO World Heritage Site in 1995, the palace has been standing over Avignon for centuries and served as the home of the Catholic Church starting in the 14th century AD. 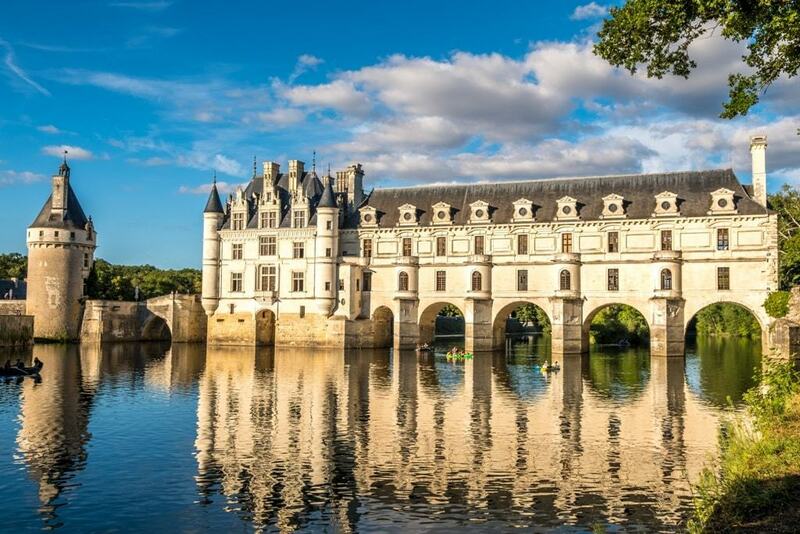 Chenonceau is a beautiful chataeau in France with a fascinating history. Spanning the River Cher in the Loire Valley region, originally it was a merely a tower and mill, upon whose foundations the castle was later built. In the 16th century, King Henry II gave the chateau to his favourite mistress, Diane de Poitiers. 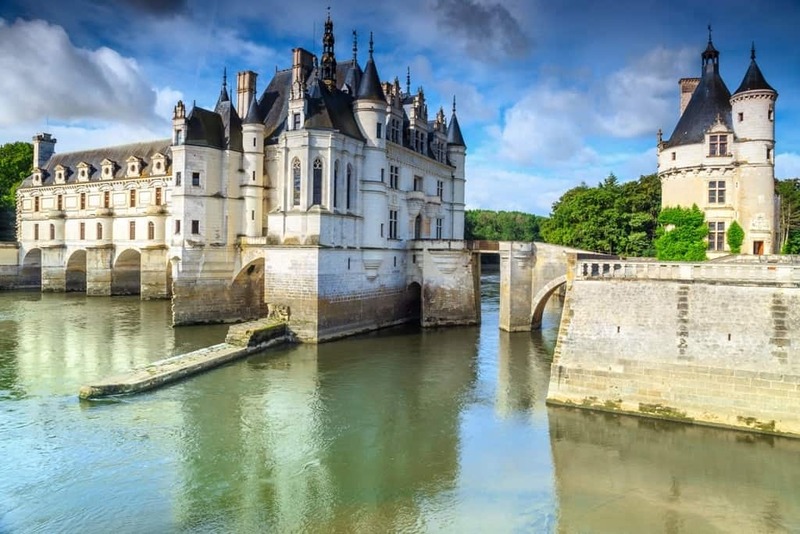 But upon the death of Henry II, his widow and the regent, Catherine de Medici, forced Diane to exchange the chateau for another, and Chenonceau became the favourite residence of Catherine. It was Catherine who built the grand gallery on the bridge spanning the river, to become a ballroom for her legendary parties. Later, during the 2nd World War, the chateau lay on the boundary between Nazi-occupied and free France and was used by members of the resistance. These days, tourists flock to the chateau because of its distinctive appearance, built above the river that passes through the arches below. The chateau is also surrounded by gorgeous gardens, which are at their best during the spring and summer. Additionally, if you’re traveling in France with a dog, this is a great location to add to your itinerary. Dogs on a leash are allowed on the grounds, plus small dogs are also allowed inside, as long as they are carried. 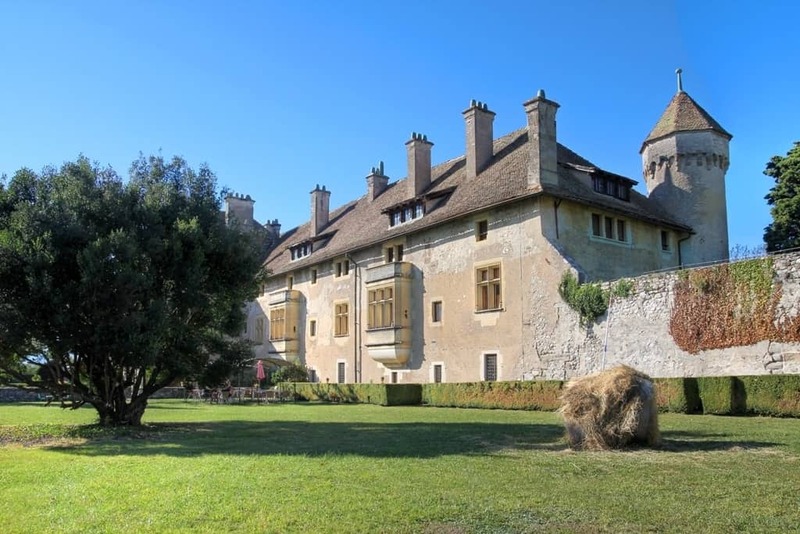 Perched on the shore of Lake Geneva in one of France’s most beautiful villages, is the Chateau of Yvoire, which dates back to the 13th century. 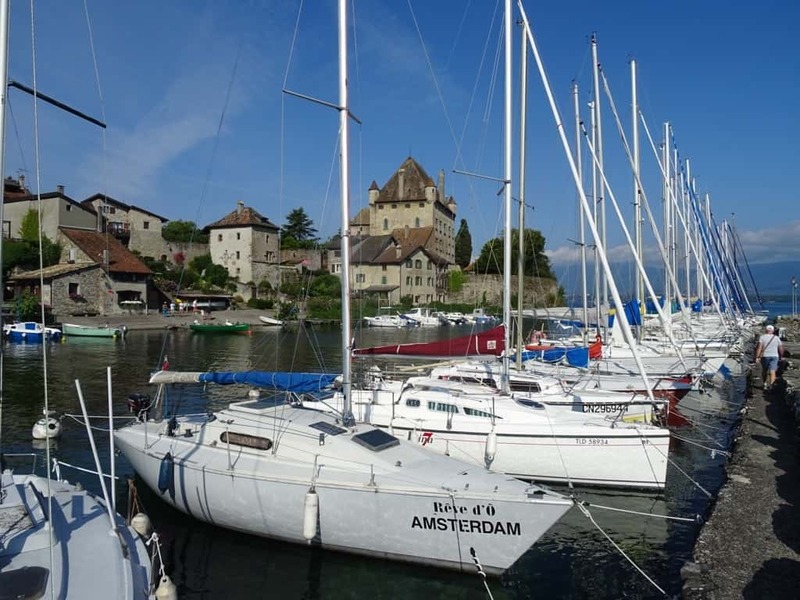 If you’re lucky enough to arrive into Yvoire by ferry or paddle steamer from Geneva, the sight of the Chateau d’Yvoire will be one of the first things you see as you approach the village. The Chateau originally played a strategic role in the war between the Dauphines and Savoys in the early 14th century, but today it is a place of tranquillity. Looking like it is straight from the pages of a child’s storybook, the Chateau sports turrets, towers and thick walls. Although it’s not possible to visit the Chateau as it is privately owned, a beautiful garden has been established in what was once the chateau’s kitchen garden. The Chateau’s owners were inspired to create a garden on land that had been bequeathed to the family, and the result is a calming oasis at the foot of the Chateau. The Garden of Five Senses showcases a wide variety of plants inspired by the medieval gardens of past. Plants were used for both eating and healing in medieval times, and The Garden of Five Senses encourages visitors to see, smell, taste, touch and hear. With Lake Geneva lapping at its toes and the gorgeous village of Yvoire under its watch, Chateau d’Yvoire is definitely one to see. Versailles is undoubtedly the most impressive and glamorous of all the chateaux in France. Built as the principle place of residence for King Louis XIV, the palace was the home of the French court for 100 years. The Chateau of Versailles is now one of the most popular places to visit in France. No expense was spared when building and decorating the palace and its grounds. Each room is laden with gold and chandeliers, and the gardens are perfectly manicured. 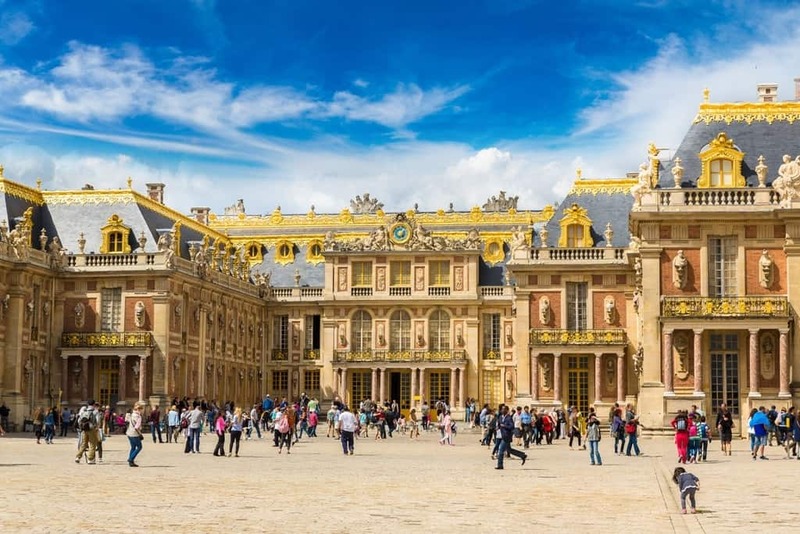 Must visit attractions a Versailles include the King’s state and private apartments, the Queen’s apartments and the magnificent Hall of Mirrors. Another highlight is to walk in the gardens, past the cascading fountains to visit Le Petit Trianon. This was the country palace favoured by Versailles most famous resident – Queen Marie Antoinette. You can easily spend a full day exploring Versailles, especially in summer. During the warmer months, there is a magical fountain display in the gardens, and the palace is lit up by fireworks at night. 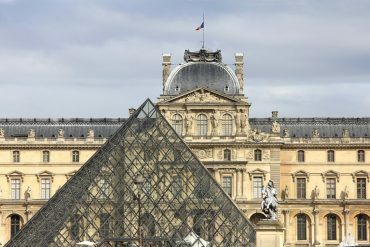 Check out my 7-day Paris itinerary that includes a visit to Versailles. Maison Forte de Reignac is one of the most curious, and interesting, chateaux that we’ve ever visited. It genuinely has everything. The Maison Forte de Reignac is a kind of fortified manor house, built into a cliff. It looks quite modest from the front, but it extends back considerably into the rock. A self-guided tour takes you through the 14th Century house. Once through the main door, and via the kitchen area, you reach a cave-like section where prehistoric remains and tools that were found while excavating the rock are on display. You then move through Grand Sitting Rooms, and Bedrooms – all rooms have a rocky wall at the back and windows (added in the 16th Century) overlooking the valley and the river to the front. You then head up some steep steps to the fortifications and defenses, built into the rock face. Standing at the top, you can appreciate the value of the location – the perfect view of the river and 180 degrees out in front of you. It is known as one of the strongest chateaus around the area, due to the solid stone walls and ceilings – it literally is built into a cliff. On our visit, there was an exhibition of torture, which was quite something. Very gory indeed! The Maison Forte de Reignac is definitely worth a visit. It is very educational for children and is dog-friendly too meaning the whole family could enjoy the tour. The Chateau of Castelnaud, in the Dordogne, is one of the best known and most visited chateaux in South-West France. This majestic chateau stands proudly atop a rocky outcrop above the picturesque village of Castelnaud, one of Les Plus Beaux Villages de France. Park up by the river in the public carpark and travel back in time as you meander up through the narrow winding streets of this pretty village. Once you reach the top, you will be rewarded with the most stunning panoramic views of the Dordogne and Céou Valley below. Founded in the 12th century, this fortress was at the heart of many conflicts during the 100-year war and was at one time owned by the English. Following a tug-of-war battle, it was eventually reclaimed definitively by the French in 1442. It’s been listed as a Historic Building since 1966 and has undergone extensive restoration work. Young and old alike will be captivated by the medieval entertainment, so if you’re interested in dungeons, trébuchets, and medieval weaponry, then this is the place for you! 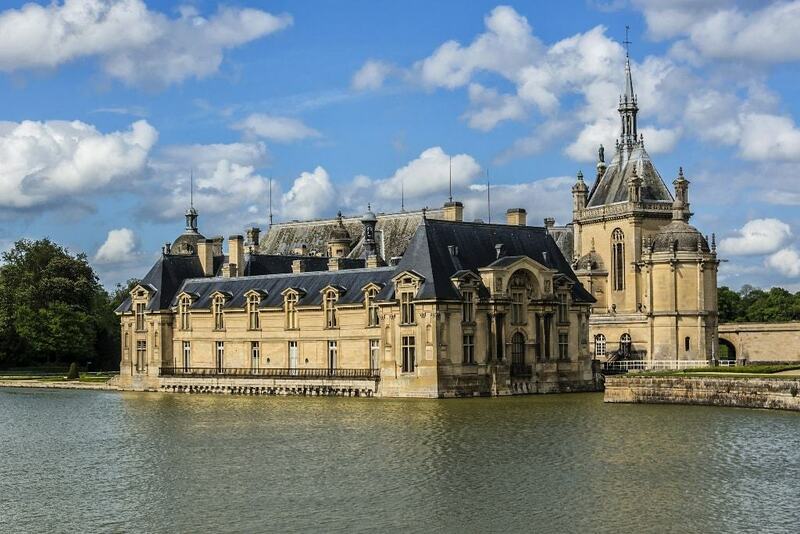 The village of Chantilly, 50 km north of the French capital, is one of the best day trips from Paris by train. 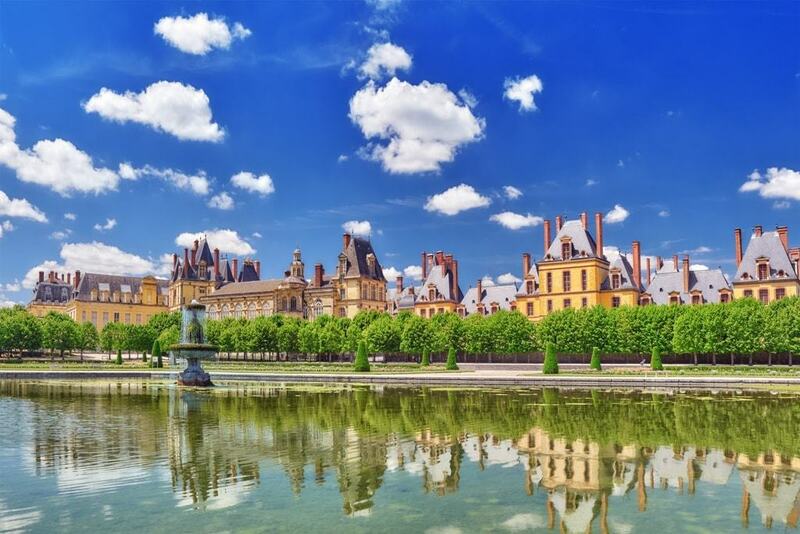 Chantilly is dominated by its fairy-tale castle surrounded by spectacular gardens. 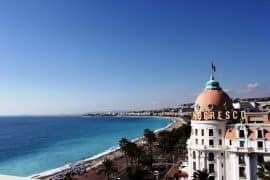 The current building was commissioned in the XIX century by Henri d’Orleans, Duke of Daumale and grandson of King Louis-Philippe I, to replace a medieval construction which was totally destroyed during the French Revolution. Henri d’Orléans was the greatest art collector of his time and used his new home to showcase all his artworks to the point that Chantilly is today the second the second largest collection of antique paintings after the Louvre. Apart from the lavishly decorated rooms and halls, the castle has also a superb library and reading room with more than 60.000 volumes, some of them very rare. Indeed, Duke Henri was also an avid bibliophile who loved books and manuscripts as much as his paintings. The visit to the castle would not be complete without a stroll around its wonderful gardens. The most beautiful part of these 115 hacres are the French gardens designed by Le Notre, the author of Versailles Gardens, in the XVII century. The gardens include huge mirrors of waters, many fountains and water features and beautiful classical sculptures. Château de la Roche Courbon is one of the most intriguing castles I’ve visited in France. The castle was built in 1475, but from the early 1800’s it had been abandoned and left to ruin for over a century. It wasn’t until Paul Chénereau purchased the château in 1920 that it was lovingly restored to its previous glory. To this day, Paul’s family still care for, and live in, the castle! The grounds of the castle are just as fascinating as the castle itself – it not more so! Spread out in front of the grand château you have the large and beautifully manicured gardens surrounding a mirror pond in the center. But in stark contrast, if you walk through a passageway nearby the castle you’ll enter an ancient world of cave dwellings and remnants from the stone age. Proving that this site has played an important role throughout history. The castle can be visited with a guided tour year-round for a fee, but the gardens and grottos are free to visit. fortified medieval city. In our opinion, one of the best examples you’ll see anywhere. This city is located around 80 kilometers east of Toulouse in southern France, close to France’s border with Spain. Carcassone was first fortified more than 2500 years ago by the Romans. During the city’s long history, the town grew and became more fortified as different tribes took over Carcassone. It consists of a lower defense wall that surrounds a higher defense wall which features many towers. 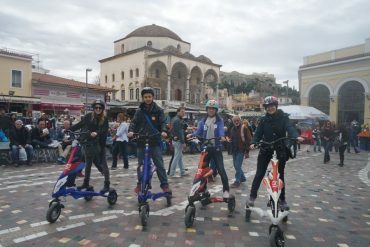 Within the walls, you will discover the ancient town, a cathedral, and also a museum explaining the city’s long history. After the Treaty of the Pyrenees passed in 1659, there was no longer a need for the defended city and its importance began to decrease. By the 19th century, Carcassone had fallen into such major disrepair, and there was talk of demolition. Fortunately, the local mayor at the time disagreed and plans for its restoration again. The results are what you see today. 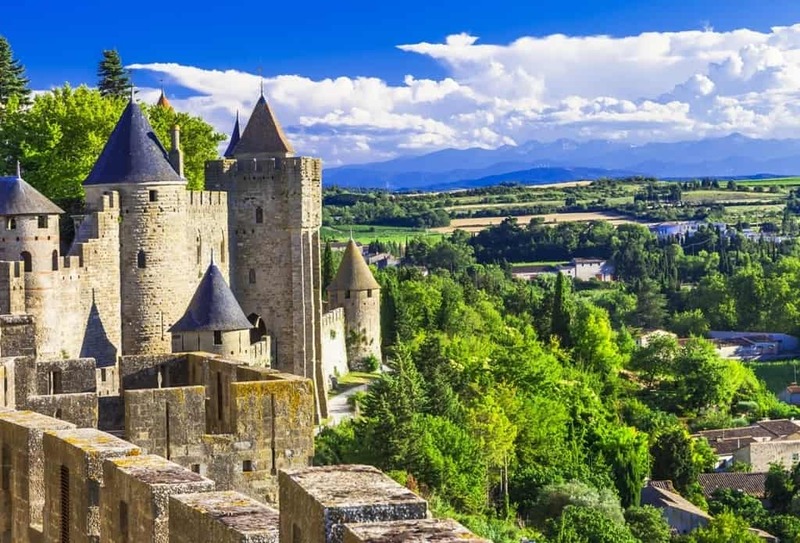 As with all significant historical renovations, there are some criticisms of the works not being 100% accurate, but look for yourself, Carcassone is a fascinating place to explore. I had the pleasure of staying in this sprawling seven-bedroom property in France. Your massive group of up to 16 people can enjoy the home and the grounds, all within walking distance of a small village and endless vineyards. Highlights included trails past thatched roofed cottages and old lion statues guarding the grounds. 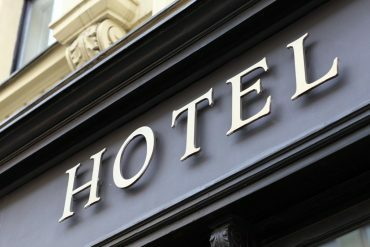 Back at the chateau, you’ll be spoiled with period furnishings, including elegant four-poster beds and claw-footed bathtubs to complete the luxurious experience. In the basement, Chateau du Pin has a beautiful wine cellar, full of its own bottles and other varieties from neighboring businesses. You can purchase some of the older vintages, or simply drop a few euros in the box downstairs to take a few table wines for the evening. Enjoy a picnic lunch of local cheese and baguettes, paired with wine, in the award-winning gardens. 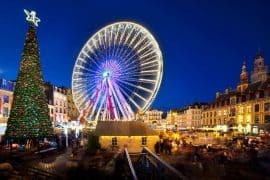 With such an impressive history present in every corner of the country, there is no wonder that France is so popular and appreciated by travelers. These castles are visited every year by millions of tourists from all over the world, and they became iconic for the French culture along the years. But beside these famous castles that conquered the attention of the world, you can always find interesting forts and buildings on your own. 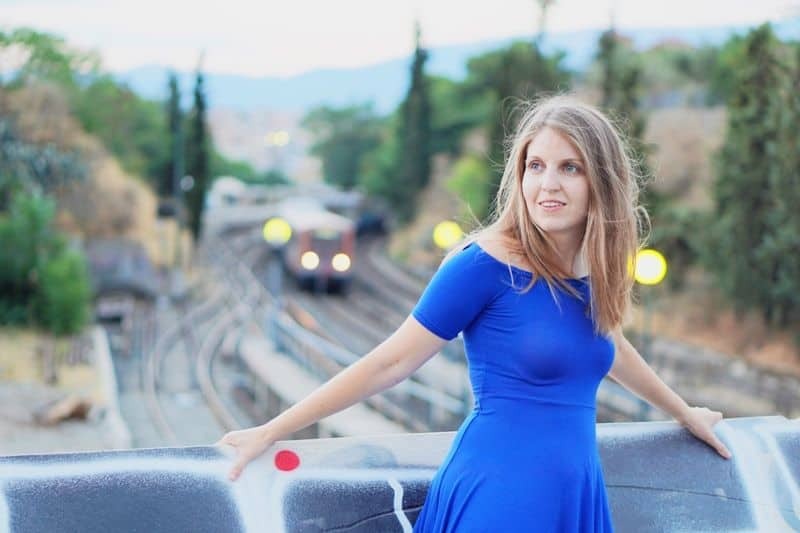 So don’t limit yourself at visiting only what you find listed in a tourist guide, because France has many surprises to offer to those who venture on the right paths! 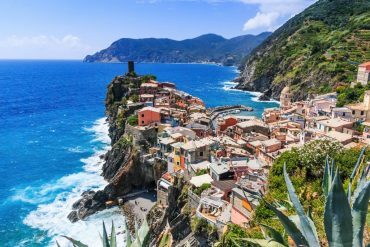 You might fall so in love with this country that before you know it, you want to come back and explore more of its beauties. And you would never run out of interesting things to see as so enjoy each trip you are taking here!